Love to entertain? Want a home & backyard retreat your friends and family will envy? One you can enjoy while taking in the water view? 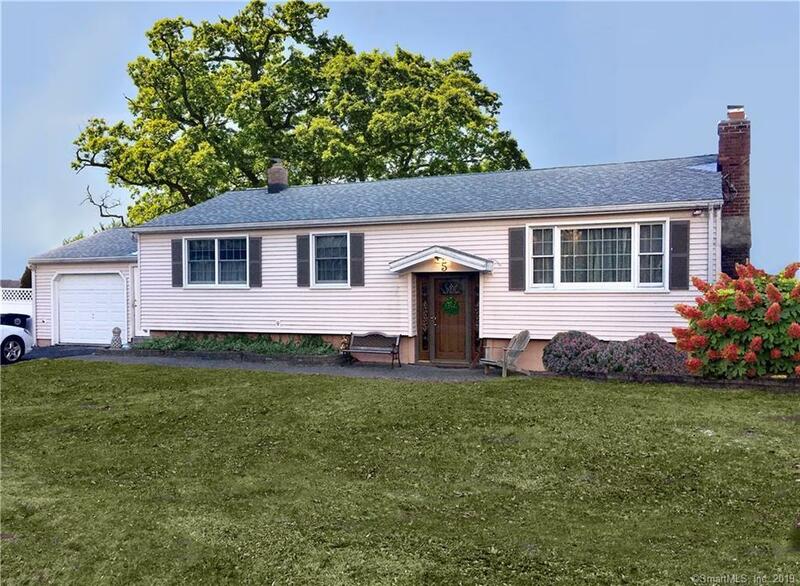 Rare opportunity on the Crestwood cul-de-sac with views of Long Island Sound. This meticulously maintained home features an open floor plan perfect for entertaining. Main level features just-polished hardwood floors and fresh paint, updated kitchen with granite countertops, newer appliances, and island/breakfast bar, cozy year-round sunroom, a spacious master suite with a dressing area and full bath, plus two more bedrooms and a full bath. The lower level family room has a wood stove, built-ins, and a custom bar while the nearby laundry room includes a partial bath. A second master suite, with a private entrance, is also located on the lower level and includes a full bath and kitchenette. Ideal for in-laws, a nanny, or guests! The professionally landscaped yard with an above-ground pool & deck, privacy fence/art installation, and fire pit, is a perfect oasis for relaxing and hosting warm weather parties. Designed to be low maintenance, too! Minutes to I-95, the Milford railroad station, and I-95. Many upgrades including new roof & siding. Hard-wired exterior security cameras. Lots and lots of storage space. Must be seen as the home is much larger than is apparent from the street or photos. Absolutely turn-key and truly move-in ready. Make an offer!, Convenient but private location? Check! View of Long Island Sound? Check! Perfect interior & exterior for entertaining? Check! Amazing backyard designed for high enjoyment & low maintenance? Check! In-law/nanny/guest suite? Check! New/updated kitchen, roof, siding, plus, plus, plus? Check! Oh, and did I mention the annual summer block party? Check! Must be seen in person to be fully appreciated.